The compact version of the classic wash bag. 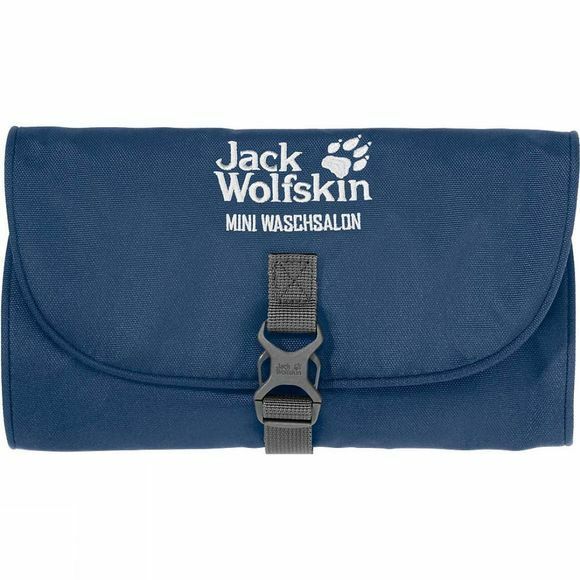 The Mini Waschsalon Washbag wash bag rolls up small and packs away neatly. The hook lets you hang it on a towel rail (or a convenient tree!). The wash bag has a snap buckle for secure closure.